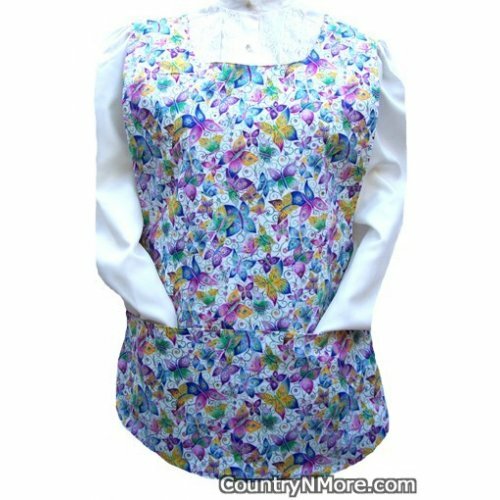 This is one of the prettiest butterfly prints out there and you or someone you love could be wearing this wonderful cobbler apron. There are shades of purple, yellow, and blue, and this print just has a sparkle about it. 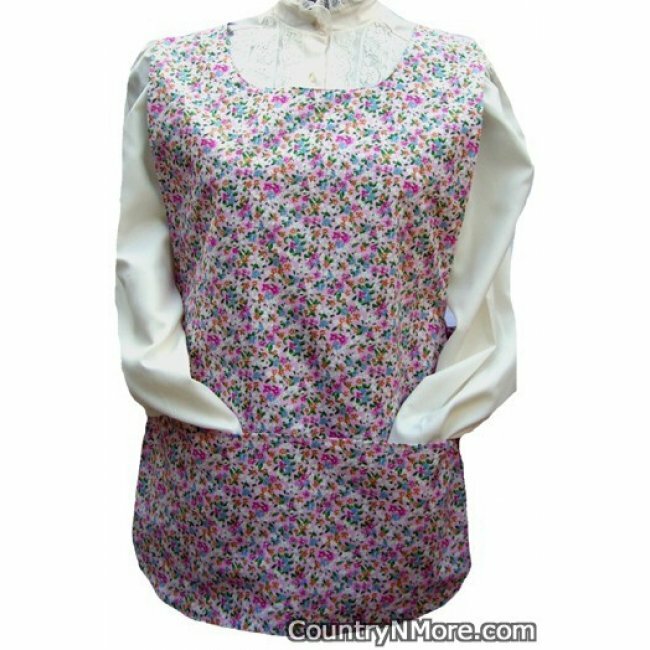 The reverse side is made from a floral print with shades of pinks, blues, and yellows.